Lacie Donaldson, a St. Louis Public Schools 4th grade teacher at Hamilton Elementary, and her students were awarded a Kids to Parks grant from the National Park Trust to explore Forest Park. 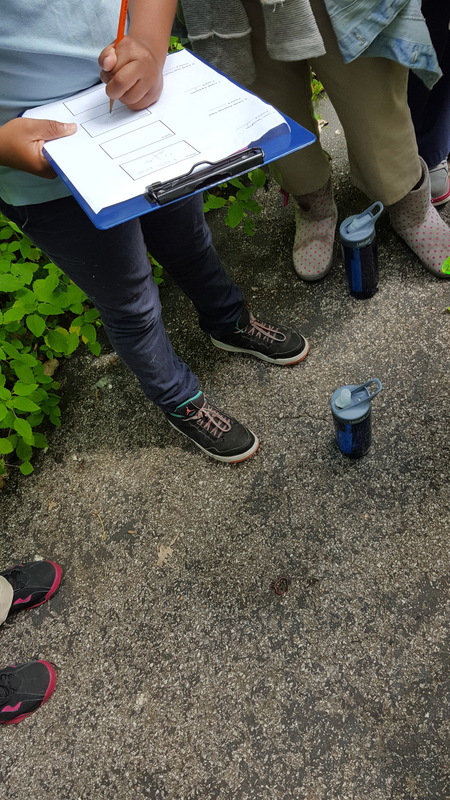 Donaldson and her students spent May 24 in Kennedy Forest, not only learning about the plants and animals in that habitat, but also making it a better home by cleaning up trash. We are happy to report that they didn’t find much trash in the forest, but their stewardship efforts were very much appreciated! National Park Trust is a 501(c)(3) nonprofit dedicated to the preservation and protection of our nation's critical parks and public lands and the engagement of our youth with nature. In 2012, NPT launched the Kids to Parks Day National School Contest. This year, NPT awarded grants to 74 schools in 27 states and Washington, D.C. benefiting more than 4,000 children, grades pre-K through 12 in Title 1 schools. The grants will help students put their ideas into action and learn, steward and play in their local, state and national parks and public lands.